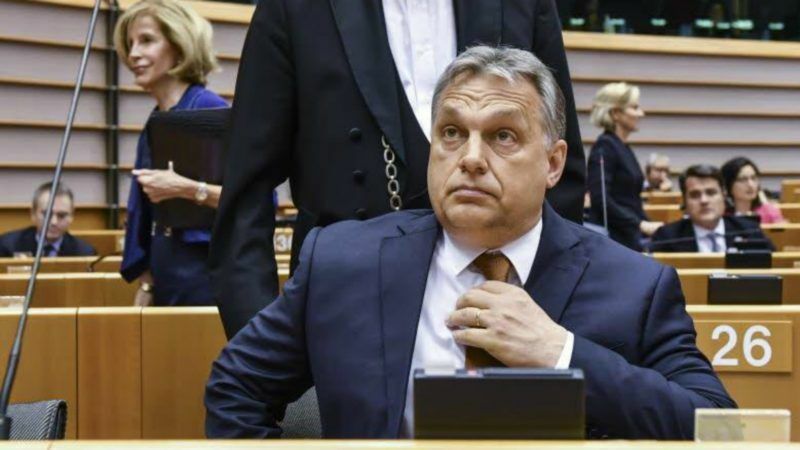 Orbán made his defence in front of the European Parliament just hours after the Commission launched legal action against Hungary over the legislation targeting the Central European University in Budapest. The EU executive sent Budapest a formal notice, saying a new Hungarian higher education law violated academic freedom and democratic values and gave it a month to respond. “We are not as big and powerful as you are, and not as big as powerful as George Soros, the American financial speculator attacking Hungary,” Orbán told MEPs in Brussels, defending his law. Orbán said Hungarian-born Soros “has destroyed the lives of millions of Europeans with his financial speculations” and “is an open enemy of the euro”. He also said that Soros is an advocate of mass migration and that he has pleaded that Europe should receive one million immigrants per year. 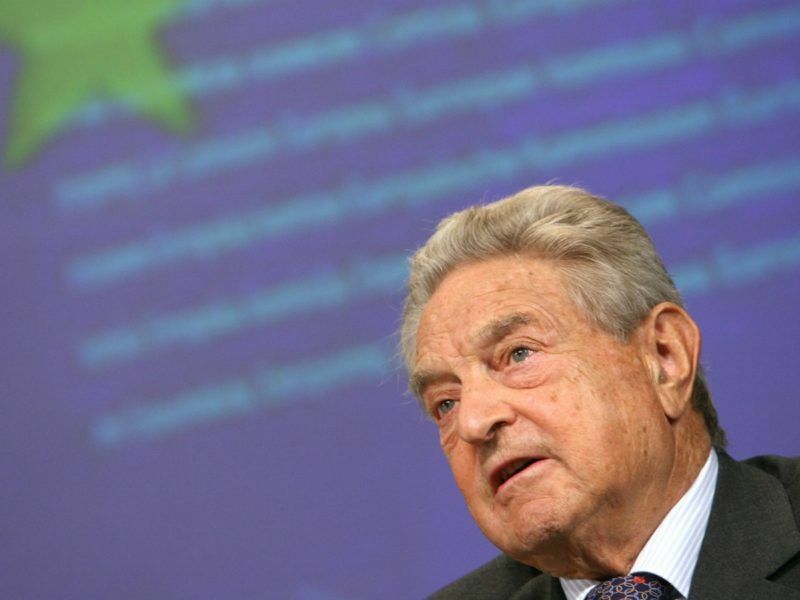 Yet despite this, Soros “is still warmly regarded here and warmly received at the highest level”, Orbán stated, in an apparent reference to a meeting between the billionaire and European Commission chief Jean-Claude Juncker in Brussels today. Commission President Jean-Claude Juncker and several Commissioners will meet US financier George Soros next Thursday (27 April) as part of consultations on a new Hungarian law that could close a university he funds, and of legislation targeting foreign-funded NGOs. The latest feud with the EU marks a new low in the tense relations between Brussels and Budapest over the government’s rights record. The bloc has expressed deep concern over Hungarian plans to tighten government control over academic freedoms, migrants and nongovernmental organisations. 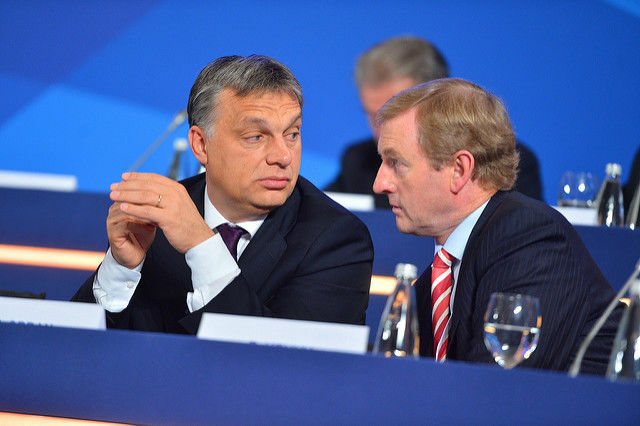 “Recent developments in Hungary have got many people worried in the EU but also in the outside world. We share those worries and concerns,” said European Commission’s First Vice-President Frans Timmermans, who also addressed the parliament session. Timmermans described the university as the “pearl in the crown” of post-communist Europe. Orbán clashed with Timmermans, who said Brussels was also worried about his stance on refugees, a draft law on non-governmental groups (NGOs) and the rights of the Roma. “The single biggest miracle in my lifetime is the fall of the Berlin Wall … and that Hungary became one of the democratic nations of Europe,” Timmermans said. Timmermans criticised the Hungarian government survey for making “false allegations” about the EU’s intentions and gave a response to the questionnaire “Stop Brussels” initiated by the Hungarian government. In his speech, the Commission First Vice-President responded to seven allegations contained in the questionnaire and announced the Commission had decided to make public its own response. Orbán, in power since 2010, has often bashed the EU and repeatedly clashed with non-governmental organisations sponsored by Soros, who promotes a liberal and internationalist worldview that the nationalist-minded Hungarian leader dislikes. He said he strongly opposed the philanthropist’s support for opening Europe more to immigration but said Hungary was committed to the EU. 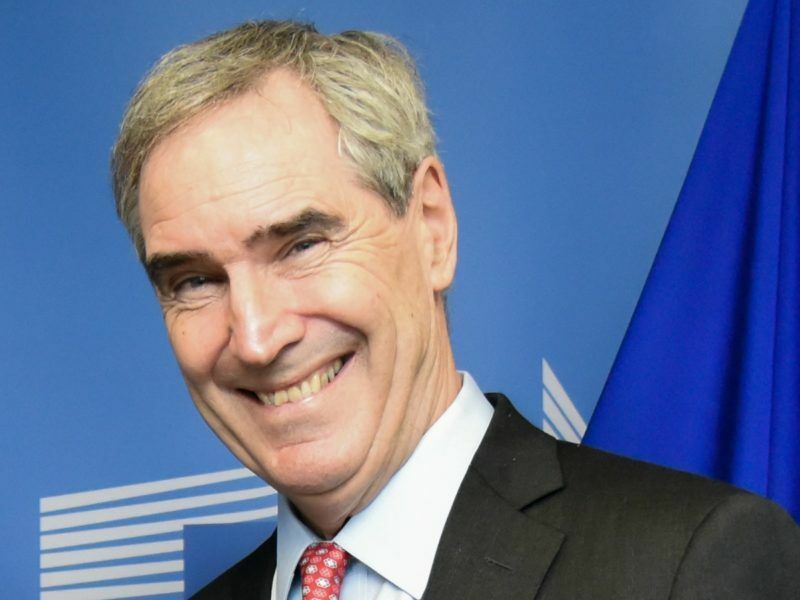 The head of a Budapest university pressured by Prime Minister Viktor Orbán appealed to Brussels for help yesterday (25 April), a day before the European Commission will announce infringement procedures against Hungary, and when Orbán will address MEPs. Orbán’s critics say the move against the school is part of his broader push to stifle dissenting voices and put independent institutions – including the judiciary, media and NGOs – under closer government control. 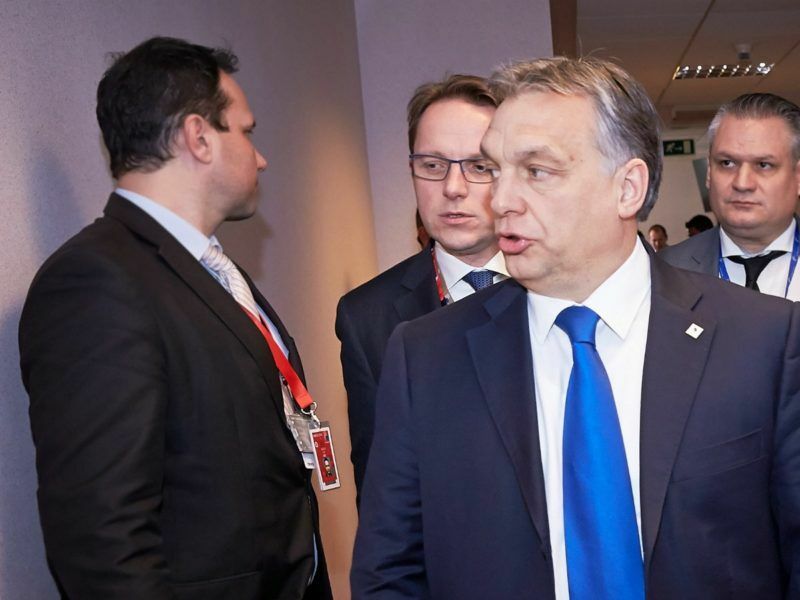 Guy Verhofstadt, the leader of the liberal ALDE group in the European Parliament, told Orbán his policies were protectionist, nationalist, illiberal and paranoid, and they reminded him of those in the communist-era Hungary. Manfred Weber, the leader of the group of the European People’s Party, the largest parliamentary faction that includes Orbán’s own Fidesz party, called on Budapest to “take on board the Commission’s request and implement them”. 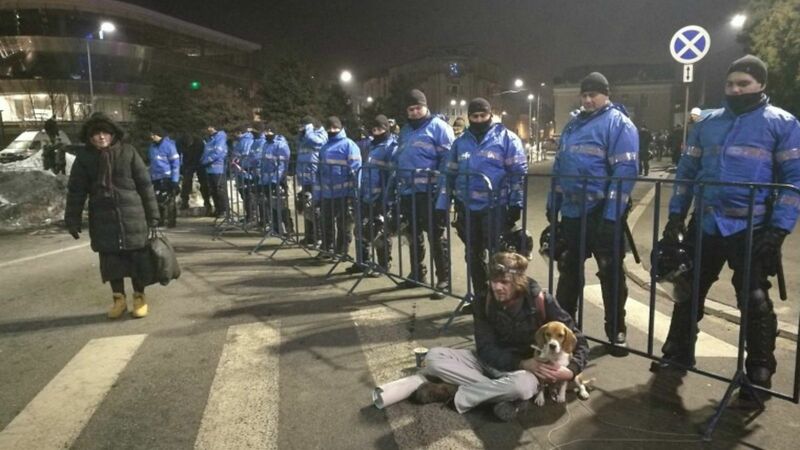 Weber however complimented Orbán for having come to the European Parliament and discussing the issues, pointing out that the Socialist Romanian premier didn’t do so during the wave of protests over a government attempt to decriminalise a string of corruption offences. Gianni Pittella, the leader of the Socialists & Democrats group, regretted that the discussion had avoided the wider issue of authoritarianism in Hungary, where press freedoms have already fallen victim to “illiberal democracy”. The Law on High Education in #Hungary is the violation of the EU's fundamental values. @TimmermansEU expects the clarification from #Orban. UKIP’s Nigel Farage complimented Orbán for fighting for his country’s interests and invited him to the “Brexit club”. The EU could impose sanctions on Hungary if it does not respond adequately to its notice, but its actual scope to punish Hungary is limited. Sanctions would require the unanimous backing of the other 27 states and Orbán can count on his nationalist allies in Poland to oppose any harsh action. Poland dismissed on Monday (20 February) demands that it implement judiciary reforms deemed essential by the European Commission to uphold the rule of law. Brussels officials hope Orbán can be persuaded to seek a compromise, a possibility highlighted by Timmermans’ repeated expressions of gratitude for Orbán’s readiness for dialogue. “I think the Hungarian government will try to find a deal. The style of the discussion may not be very elegant but there will be some sort of a compromise, in the end, most likely,” said one diplomat.